Crack of doom or scratch in topcoat? This topic has 7 replies, 5 voices, and was last updated 4 days ago by gooner69. *Orange want £200 for a respray, yoiks! At least I’d get free decals. 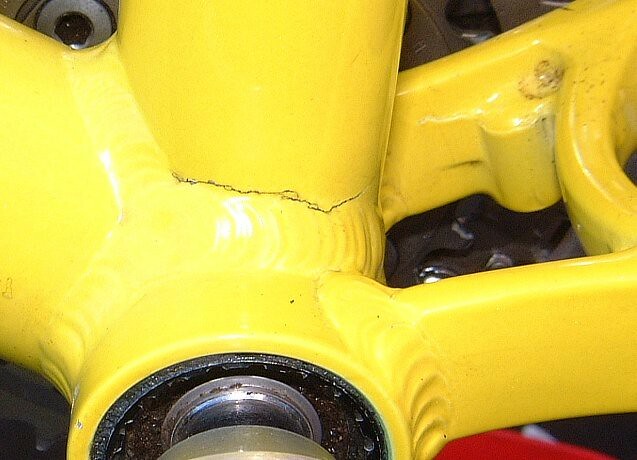 Looks like a scratch, It doesn’t follow the weld line. As hoped, phew. Thnks all. Back to happy polishing! @montgomery, what’s that, two fishers and a trek? 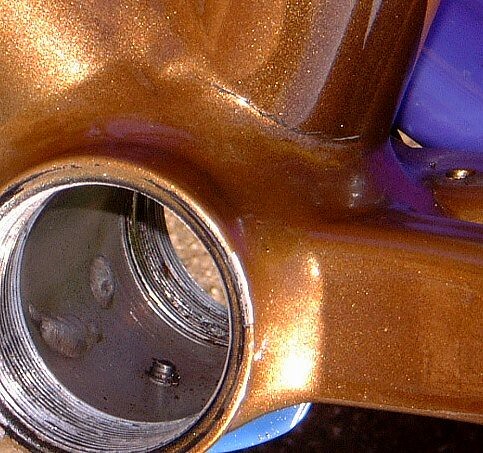 Two Fisher Supercalibers and a Klein Attitude – had a run of bad luck in the early noughties, but still find myself clearing mud away from BB welds for a look if I’ve got a hard-to-diagnose creak.